25 Years Later, Scars Of Ukraine's Chernobyl Nuclear Disaster Remain Raw A quarter-century after the world's worst nuclear accident, scars remain on the landscape and among the people, including firefighters exposed to radiation as they rushed to the burning reactor. The new nuclear crisis unfolding in Japan serves as another reminder of just how long recovery can take. Anatoly Kotlyar (left), 59, and Alexander Zenchenko, 58, are two of the thousands of "liquidators," or firefighters, who responded to the 1986 Chernobyl disaster. The Soviet government ordered them to the nuclear facility as first responders. Both men today complain of health problems and say Ukraine's government should be doing more to help with medical bills. 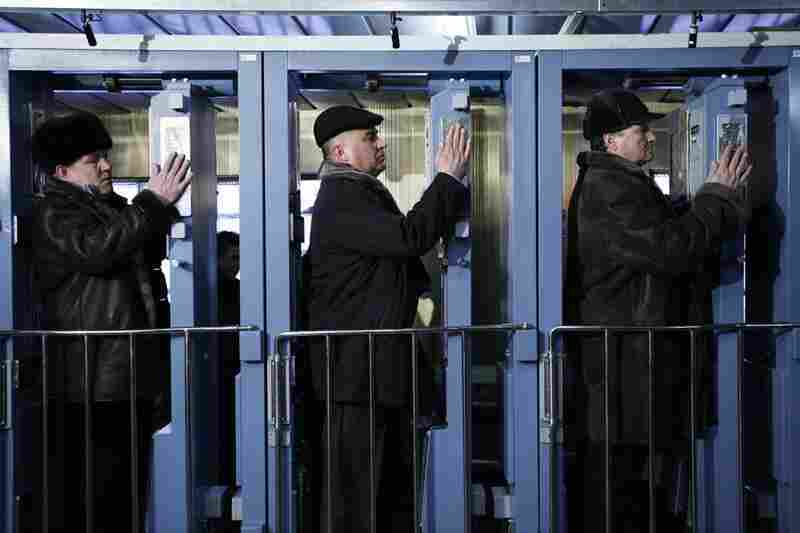 In the Ukrainian capital of Kiev, a bell rang 25 times Tuesday morning, marking each year that has passed since the world's worst nuclear disaster. Many people who lived through the 1986 Chernobyl accident are still suffering the after-effects, and the new nuclear crisis unfolding in Japan serves as another reminder of just how long recovery can take. A short drive away from the Chernobyl plant stands a police checkpoint that guards the restricted area. Outside, it's a beautiful part of Ukraine, with forests and fields. Inside, it's still largely a wasteland. Back in 1986, thousands of people crossed this very point on the road that leads toward the plant, ordered by the Soviet government to respond to the disaster that would spew radiation into the air and across Europe. They headed in — and were exposed. 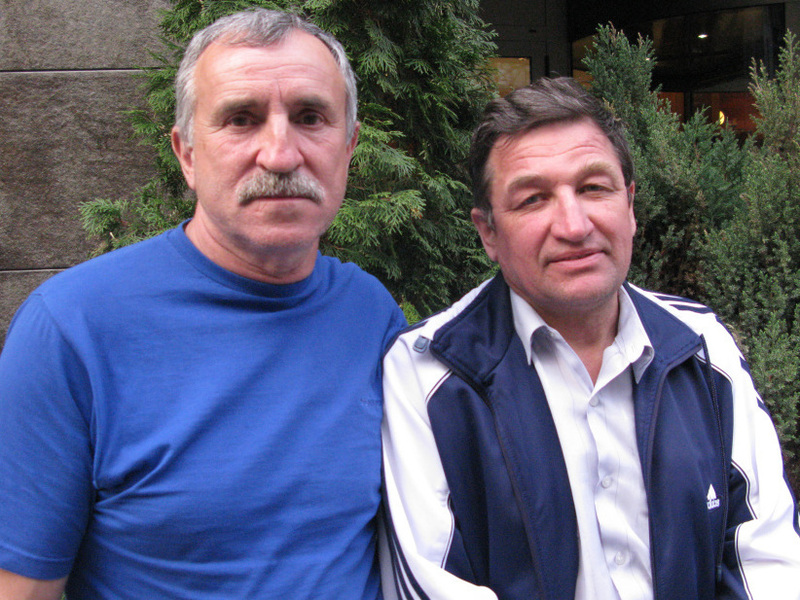 Former firefighter Anatoly Kotlyar, 59, remembers driving to the plant like it was yesterday. Today, we call people like him first responders. At the time, the Soviet government called them liquidators. They fought fires, cleaned up and provided security. Kotlyar led 19 men toward the crippled nuclear reactor as it burned. We didn't know where we were going. We didn't know anything about it. But we were proud to do something, because our motherland gave us an order, ordered us, and we were proud to fulfill this order. "We didn't know where we were going. We didn't know anything about it. But we were proud to do something, because our motherland gave us an order, ordered us, and we were proud to fulfill this order," he says. A quarter-century later, no one knows what their heroism cost. It isn't clear how many deaths and illnesses among liquidators can truly be linked to radiation exposure. Of the 20 men in Kotlyar's fire brigade, four have died. One man had a brain tumor, another leukemia. Kotlyar is convinced at least that those two died because of radiation. His fellow liquidator, 58-year-old Alexander Zenchenko, spent two weeks providing security at Chernobyl following the accident. He remembers doctors telling him it could take 25 years for radiation poisoning to show symptoms. "When we first went to the hospital, they told us it would get worse and worse, and little by little it has," he says. Zenchenko says he has a blood disease that requires frequent transfusions. Like so many other liquidators, he has been fighting his government for years to provide more money for his health care. The April 26, 1986, accident at the Chernobyl nuclear power plant created ghost towns in Ukraine. Tens of thousands of people were evacuated from surrounding areas. 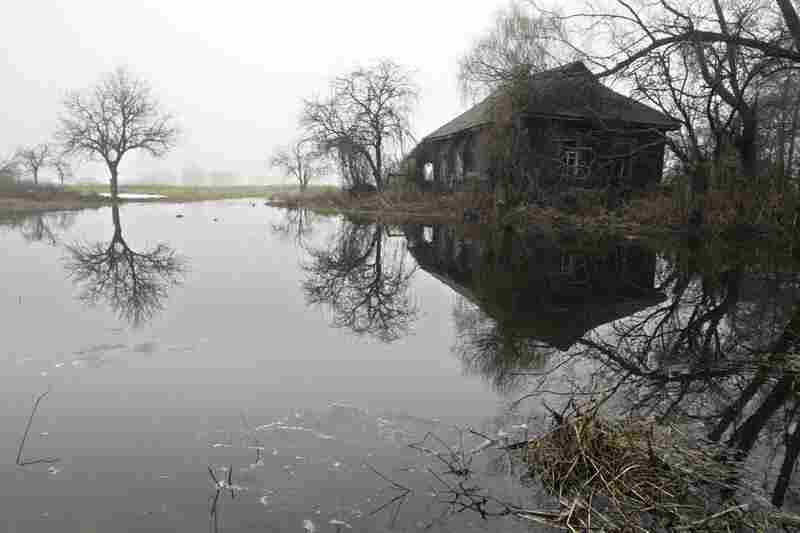 Dozens of villages and properties remain empty, like this abandoned house, seen in 2006, in the deserted village of Redkova, about 22 miles from the plant. Ukrainian youngsters prepare a net for illegal fishing in contaminated waters in the village of Zorin, near the 19-mile exclusion zone around the Chernobyl plant, in 2006. The Chernobyl explosion spread a plume of radioactive smoke across thousands of square miles. 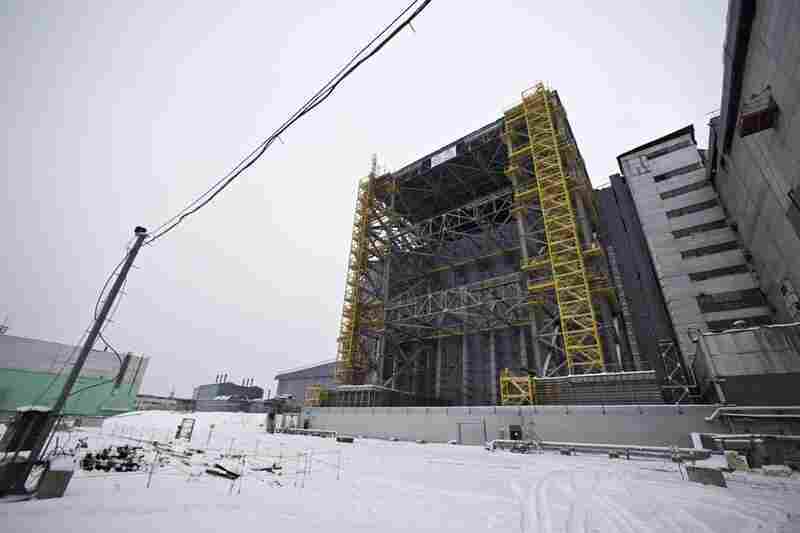 The Chernobyl power plant is still operational. 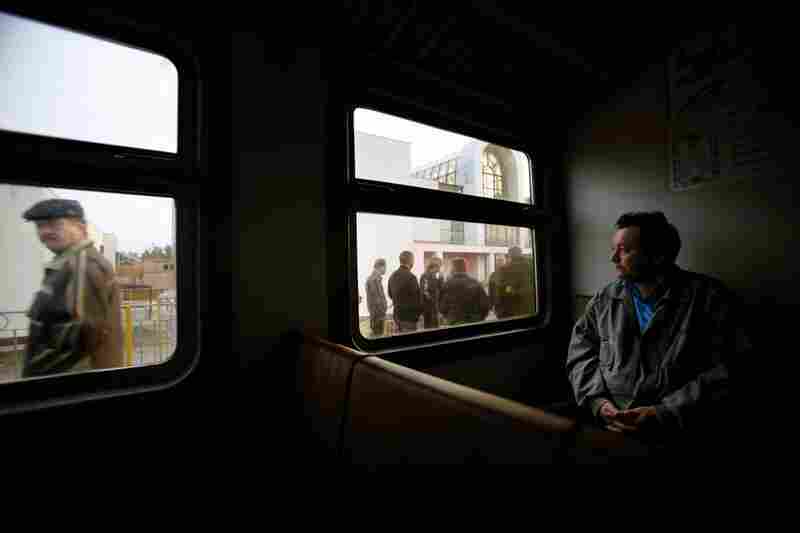 Here, a worker waits on a train in Slavutich, Ukraine, on his way to the plant in 2006. After the 1986 accident, about 50,000 residents of the nearby city of Pripyat were evacuated. Slavutich, located about 37 miles from the plant, was built to house displaced workers and their families. 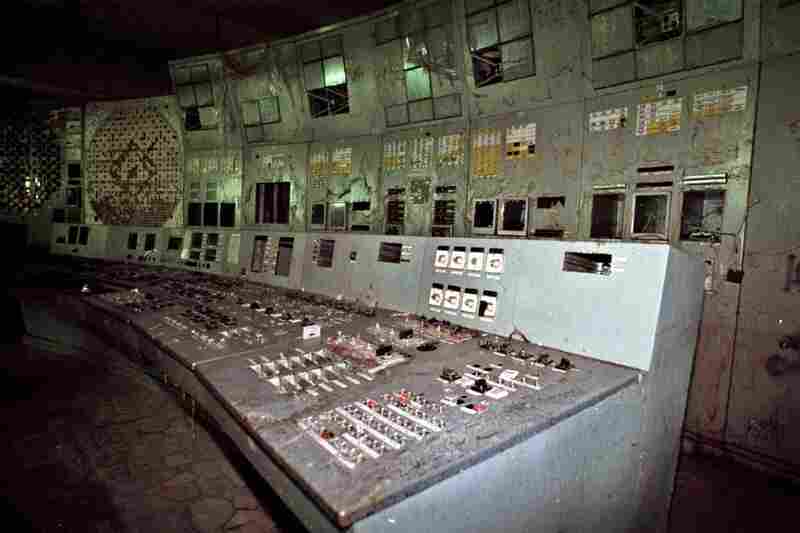 The control room of the damaged No. 4 reactor. The No. 4 reactor is now encased in a sarcophagus designed to keep radioactive material isolated. The government of Ukraine is trying to raise funds for the construction of a huge new building that will cover the aging sarcophagus. Workers at the Chernobyl plant check their hands and feet for radioactive contamination at the end of the day before boarding the train home in 2009. Viktor Gaidak with his wife, Lydia, in their apartment in the outskirts of Kiev, Ukraine, in April 2007. Gaidak worked for 24 years as an engineer at the Chernobyl plant, including nine years after the accident. Here, he shows his scar from a 2004 surgery for colon cancer. 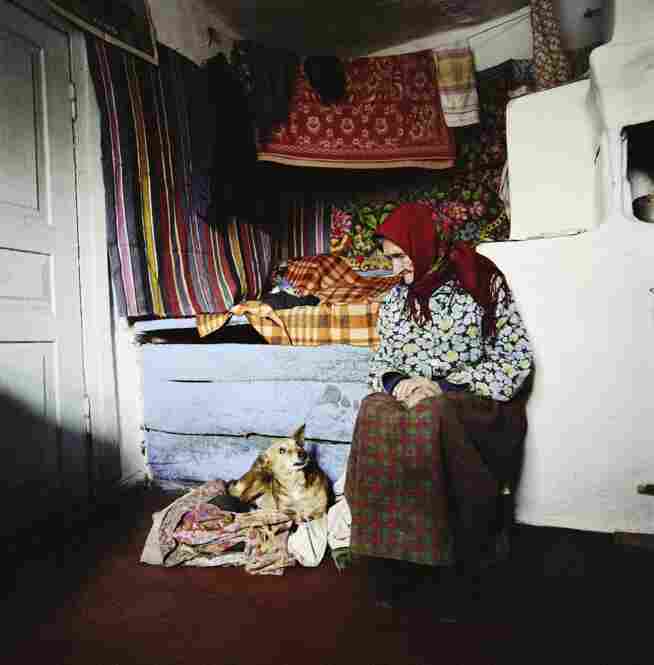 Zinayida Trofimivna Huzienko, 93, talks to her dog inside her home in the village of Ilintsi in 2006. She lives illegally inside the exclusion zone around Chernobyl. Scientists say the area around the plant will not be safe for human habitation for up to 900 years. 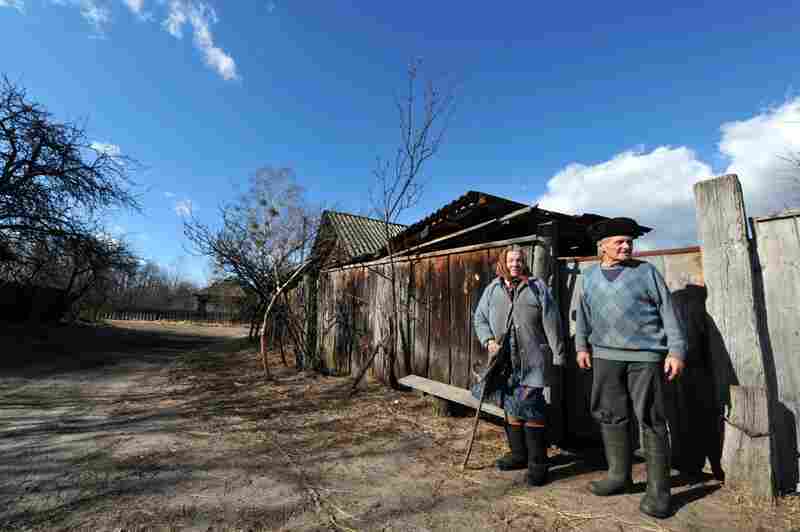 Ivan Semenyuk, 75, and his wife, Maria, 73, stand outside their house in the largely abandoned village of Paryshiv, inside the exclusion zone, in March 2011. 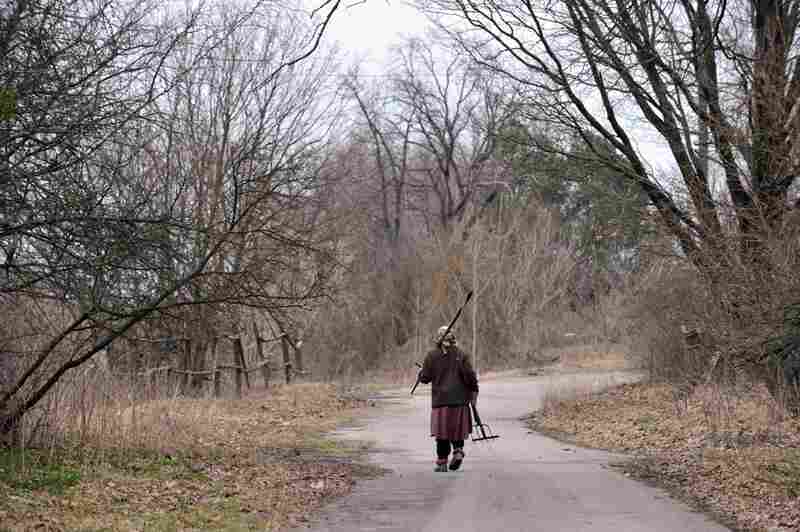 Ganna Zavorotnya, 78, carries her tools as she walks to her vegetable garden in Kupovate, inside the exclusion zone, in April 2011. Certainly, from the start, the Chernobyl accident was downplayed. When fire broke out the morning of April 26, 1986, the Soviet government was gearing up for annual May holidays that celebrate workers and mark victory in World War II. It was a patriotic time that was not to be interrupted. And news coverage of Chernobyl suggested that things weren't so bad. Official government news reports downplayed the crisis, saying levels of radioactivity at the power station and in its immediate vicinity had been stabilized and that victims were receiving medical help. But in the ensuing weeks, it became clear that the accident had altered the way of life in central Ukraine. Families would live forever with unanswered questions about their health. In the summer of 1986, Alla Pugacheva, an iconic Soviet pop singer, visited Chernobyl and told people — for better or worse — that the nuclear facility would always be part of their world. She lifted spirits with her song "Sto Druzay," about how everyone has a hundred faithful friends. That message has always echoed here. There is not much mobility in post-Soviet Ukraine. 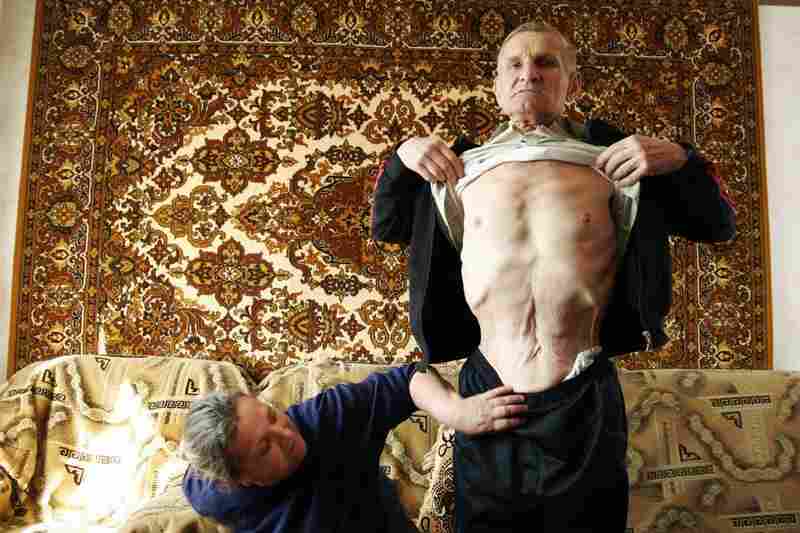 People still live in houses they built in Soviet times, so neighbors who lived through Chernobyl remain together today. They've all been watching news coverage of the nuclear accidents in Japan, and it has reopened some wounds. Alexander's wife, Yelena Zenchenko, says she has been struck by the Japanese government's response to the crisis. "They'll find a way to protect their people," she says. "Not like in our country, where people had nothing but their own resources. I do hope people in Japan overcome this sooner than we have."